While some of us keep expecting the global love affair with chalk to fade away (no pun intended), love of this forgiving medium only seems to be growing stronger. Call it the cafe effect if you will, but hostesses everywhere are having fun discovering myriad uses (and surfaces) for those useful custom identifiers and personalized messages. 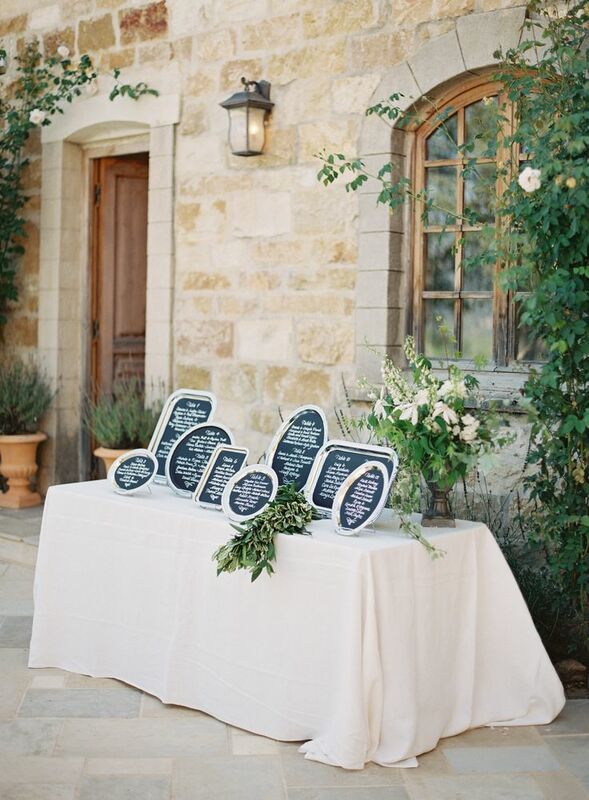 Put frankly, guests love seeing their name on pretty handwritten cards and savvy entertainers love the flexibility of the last minute menu changes this style of display affords. My secret weapon? Chalk Ink markers with what they call a chisel tip. Being a classic girl, I adore the white and metallic gold & silver versions. But don't limit yourself to my preferences. These handy tools come in every color from neon orange to pastel pink, giving you complete control over design and the mood you wish to project. And that chisel tip gives you the ability to lend a calligrapher's look to the most simple of applications. All while keeping your hands clean. As you might guess, I love that! Since chalk designs and the handwriting styles that accompany them have become a sub-genre of the art world, myriad options abound to aid you in improving your skills in this area. Skillshare offers lettering classes that will put you on your journey to developing an artist's flair regardless of the medium. YouTube is loaded with similar lessons. Don't overlook the power of Pinterest to lead you to inspired (and easy) skill honing sessions to improve your handwriting and mature your chalk-specific talents. 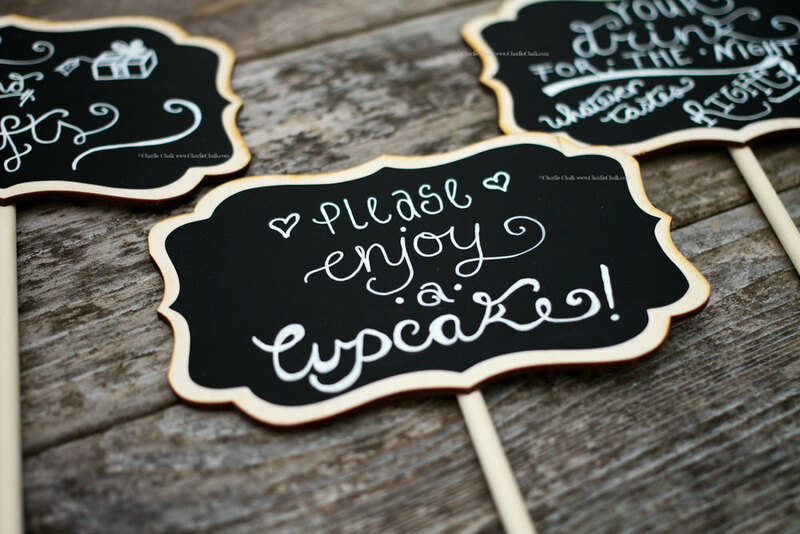 Believe it or not, the use for chalk has gone beyond those French hens bearing a menu around their neck (although I do have a soft spot in my heart for those) .I love the idea of small chalk-friendly place cards at the table or with a bar cart listing out the available drink options. Starbucks has trained us that menus and signage need not be boring or restricted to just text. 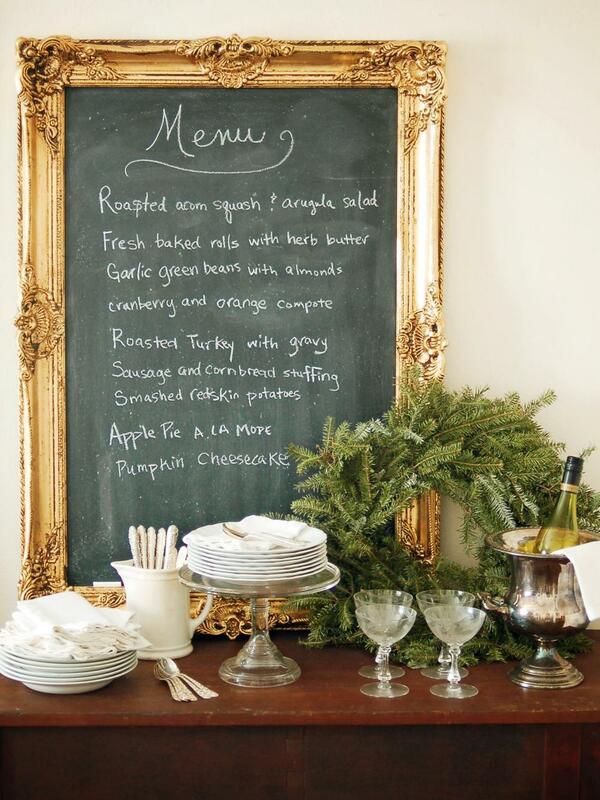 Perhaps a little artistry is just the thing for the dinner table. Placemats that wipe clean might make for great entertainment for creative guests or little ones while you're whipping up a feast. 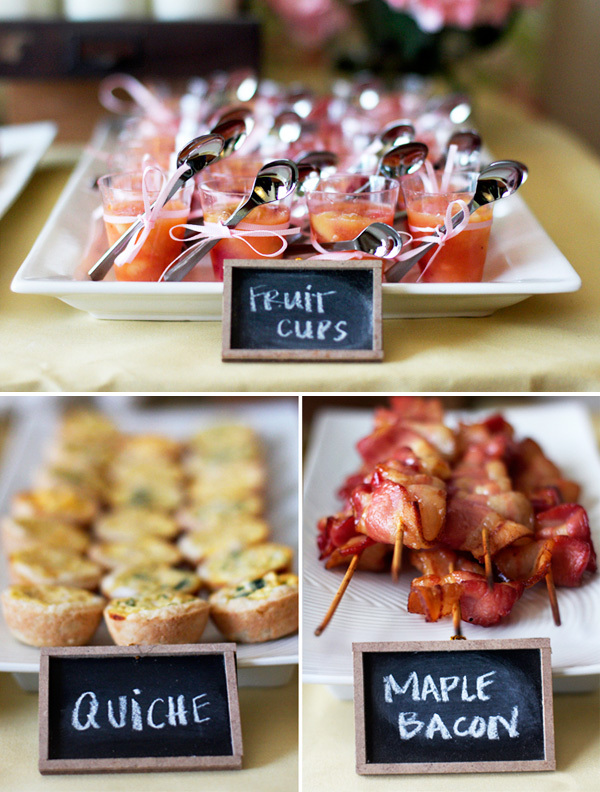 It makes the time fly by and gives guests (or family members) something fun to do. One thing I have certainly learned: personalization is something everyone, old or young, enjoys. 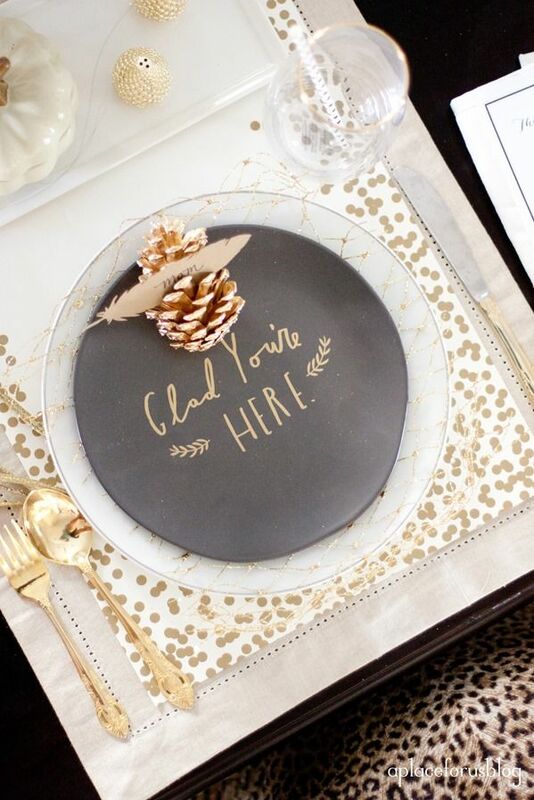 From their name to custom illustrations celebrating their individuality, it's the small touches that transform simple parties into fabulous and fêtes. Details matter, and seeing your name on a napkin ring is a small touch that warms the heart. Lesson: make it personal, make it memorable. The key is to use the tools at your disposal and exercise those creative muscles. 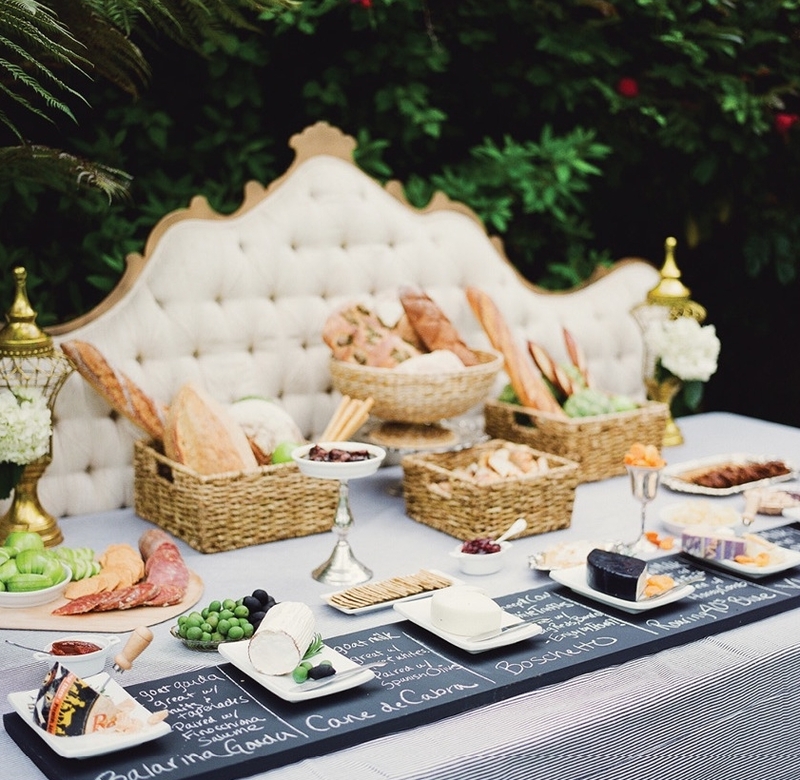 Take a cue from glamorous weddings and the many ideas offered by pinterest. I love keeping it simple, but don't be afraid to demonstrate your creative freedom. After all, the best part of chalk is its impermanence. If you decide to make a change simply wipe away the design with a damp cloth and... voila! A blank slate is born.